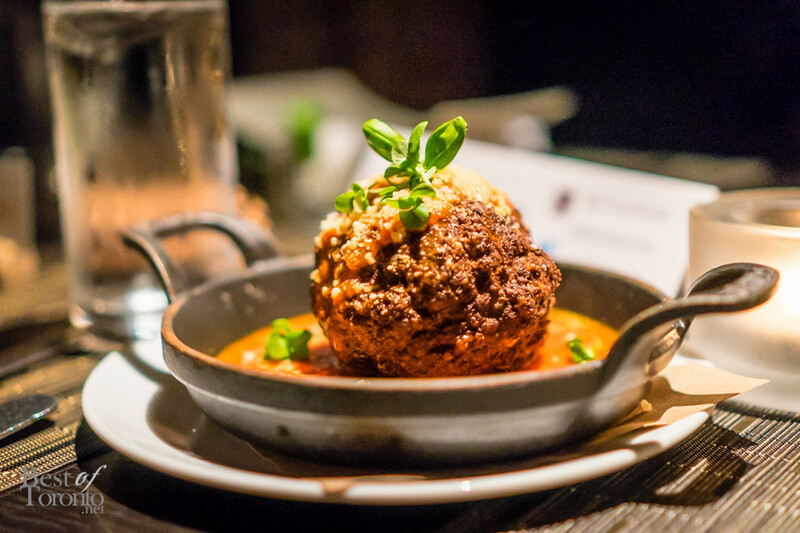 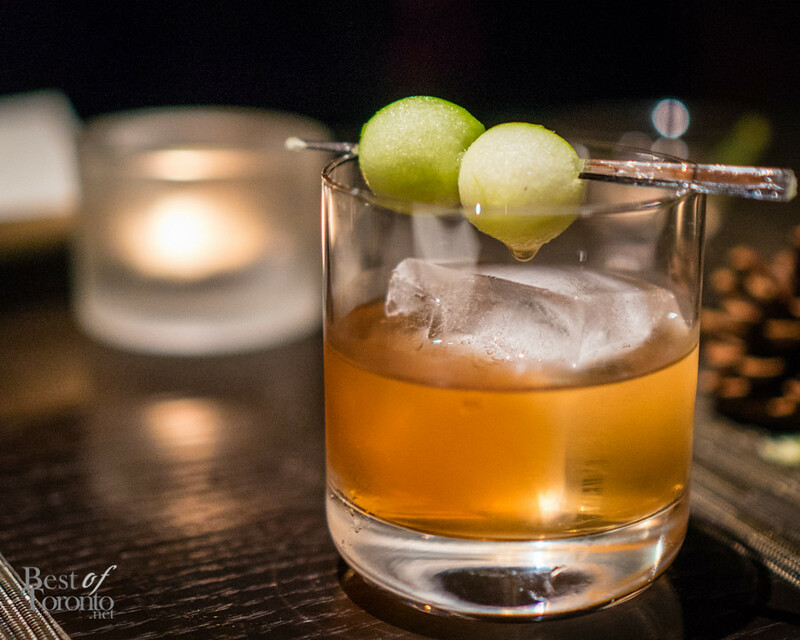 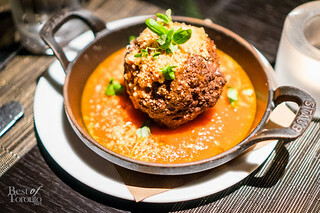 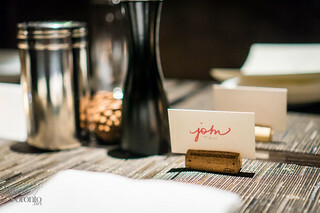 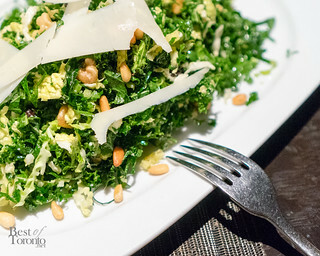 This November e11even restaurant turns 5, and we were invited to celebrate with none other than their signature dishes & cocktails, as well as a sneak peak into new ones to be added to the fall and winter menu. 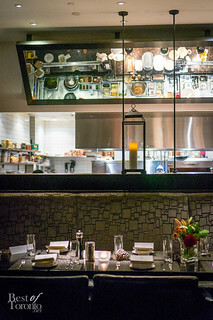 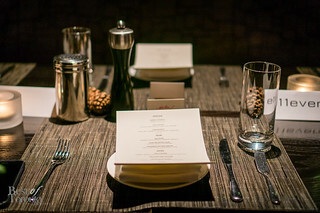 All the dishes were presented by Executive Chef Evan Tandy, who’s also worked at Real Sports Bar and Grill, since 2011. The first appetizer was Nonna’s Meatball. a ground Canadian prime chuck mixed with ground pork, bound by pain au lait, instead of egg. 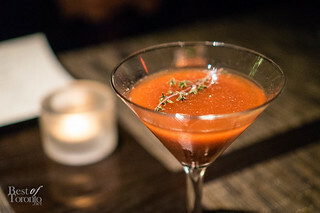 The tomato sauce and parmesan cheese tied in all the flavours together. 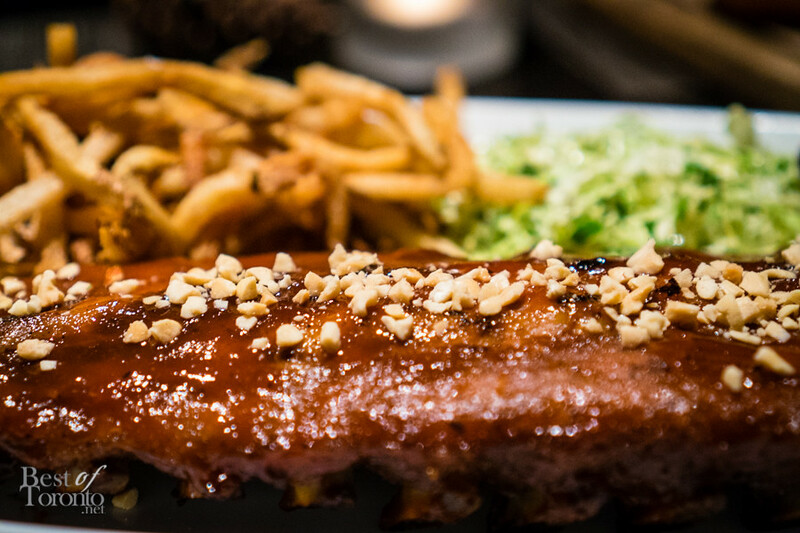 This seasonal plate is perfect for the cold weather, with it’s home-cooked, nostalgic presence. 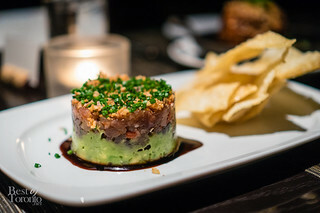 Shortly after, we had the ahi tuna tartare ($21), mixed with avocado, lime juice, chili, sesame seeds, cilantro, ginger, soya sauce, chives, fried and deep-fried shallots with fried wonton chips on the side. 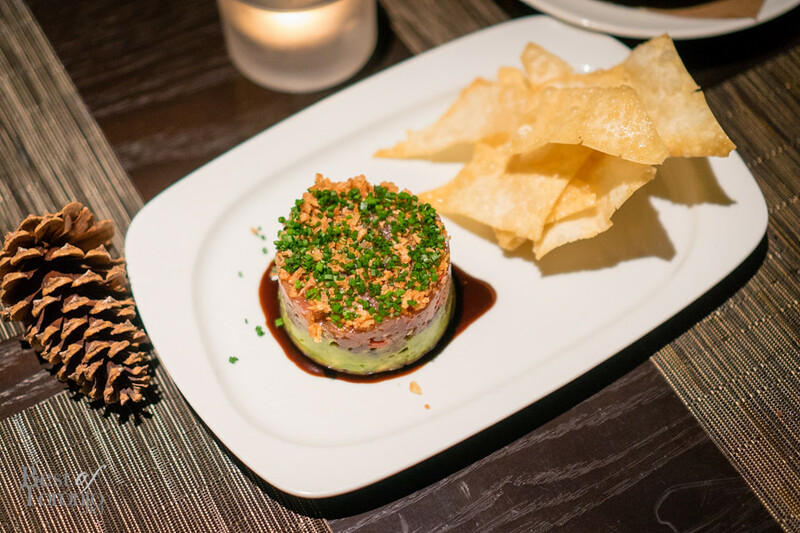 It is no surprise that this is the most popular appetizer on the menu; it was absolutely mouth-watering. With the kale salad, the leafy goodness was tossed with chiffonade cabbage, toasted walnuts, pine nuts, black currents, and shaved parmesan. The combination of crunchiness and grassiness led this to be one of my favourite dishes of the night. 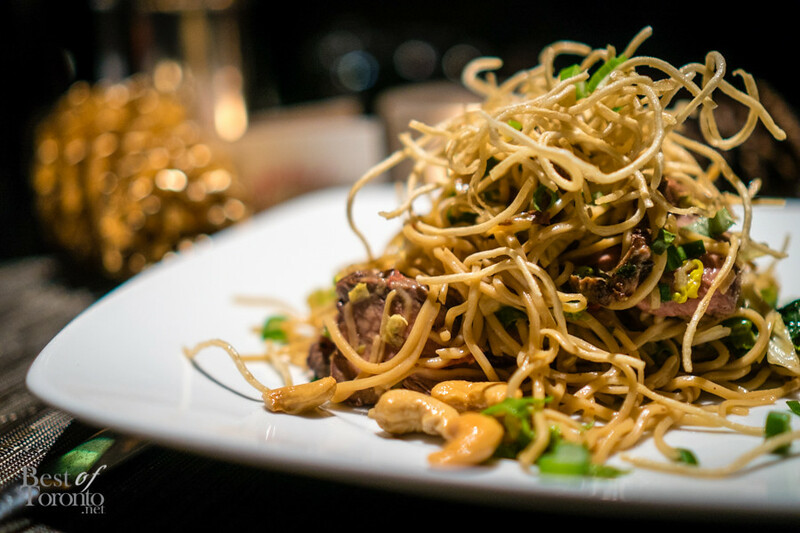 The steak and noodle salad was a take on asian-fusion with fresh thai basil, cashews, napa cabbage, artisinal greens, and an exquisite thai dressing incorporating a mango-pineapple soy marinade. 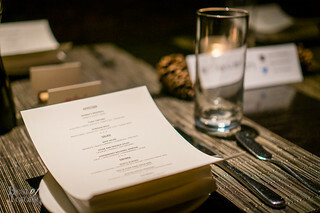 For the entree, we were presented the most popular item at the restaurant, the maple burger ($25). Five thousand have been sold over the last 8 months! 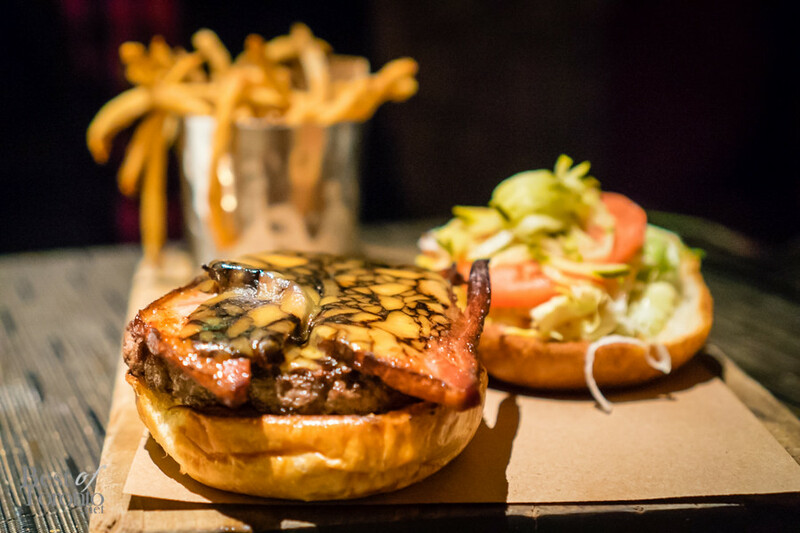 This in-house prepped burger is a must-try and was topped with classic ingredients such as lettuce, relish, tomato, had an 8 oz. 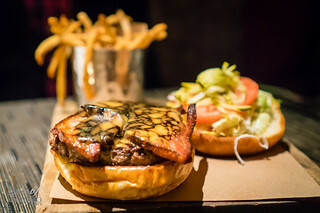 prime chuck patty and Guinness cheddar cheese, as well as a delicious maple-sherry glazed bacon, which complemented the burger’s buttery house-made sauce spread on the bun. 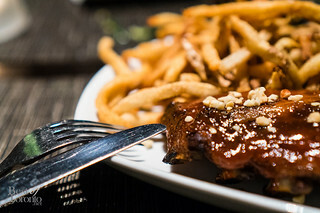 Afterwards, we dug into the delicious knife and fork baby back ribs ($34) with coleslaw, yukon fries, and chopped peanuts sprinkled on-top. 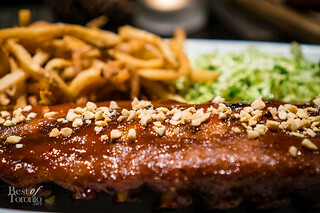 The ribs were dry-braised and smoked with an impressive barbecue sauce. 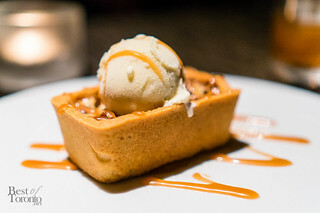 For the last course, we got to try a new dessert soon to be on the menu: a chocolate pecan encrusted pie, topped with vanilla ice-cream and caramel drizzle. 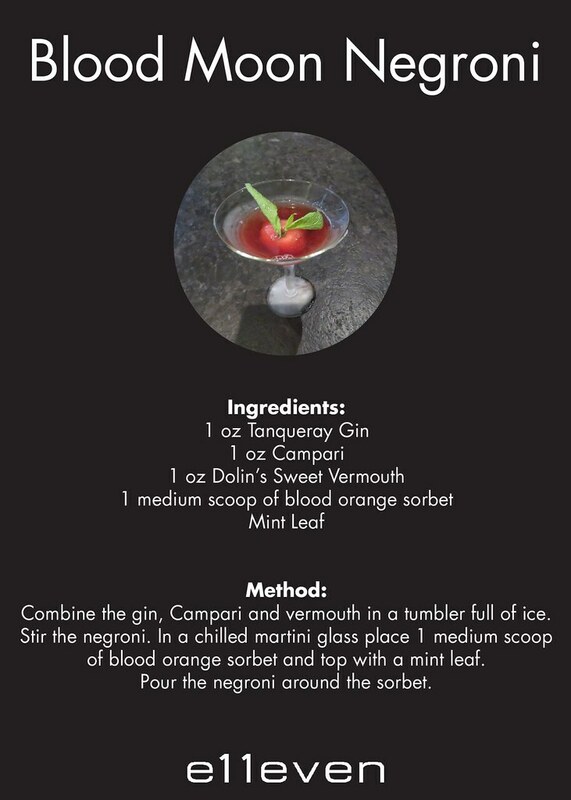 An absolutely memorable treat for many of the night. Nick Chajoglou – formerly at Diana Sweets – was the sommelier and mixologist behind the fine cocktail creations. 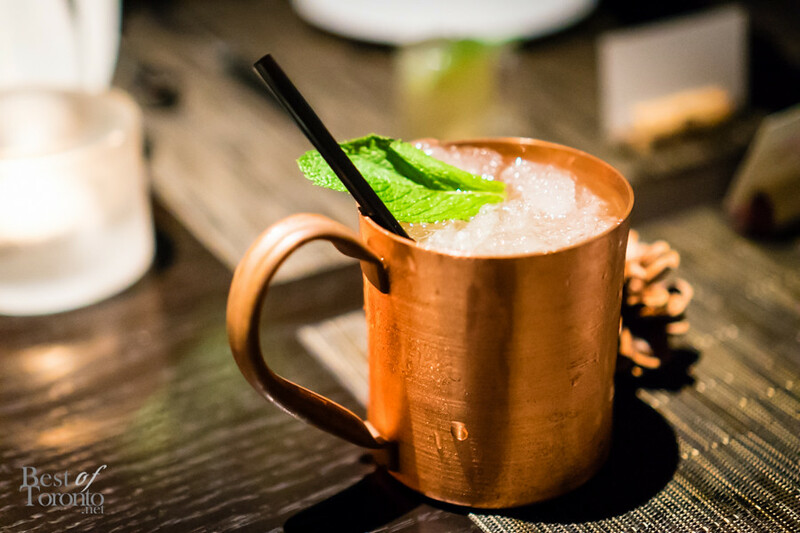 After having the opportunity to try a few, the fruitiness of the peach ciroc and the lime juice came through in the Georgian Mule and had my instant nod of approval. 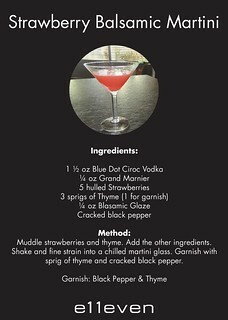 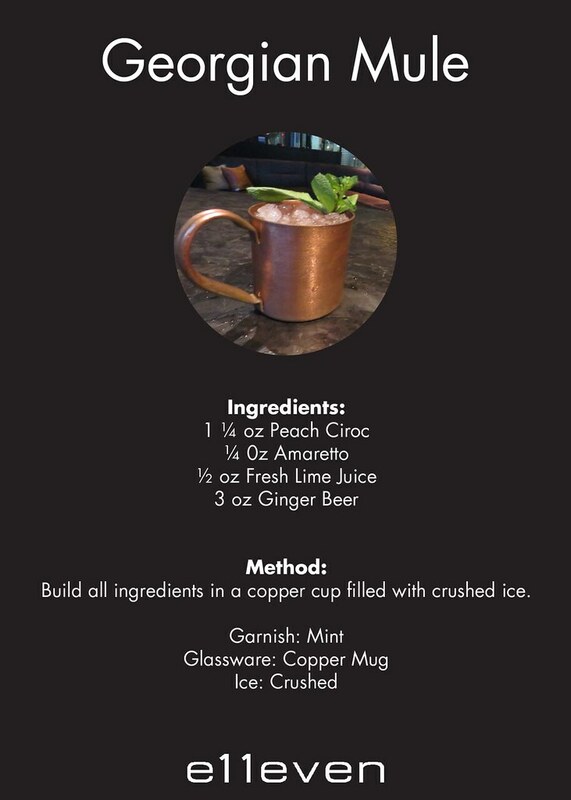 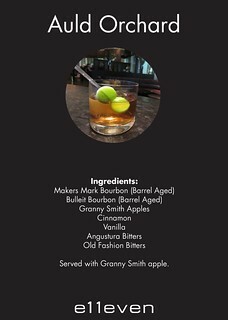 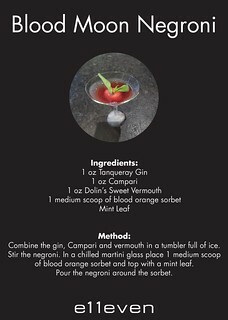 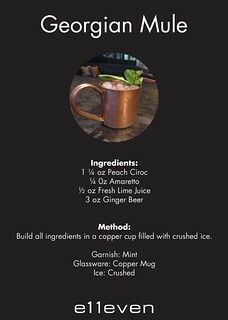 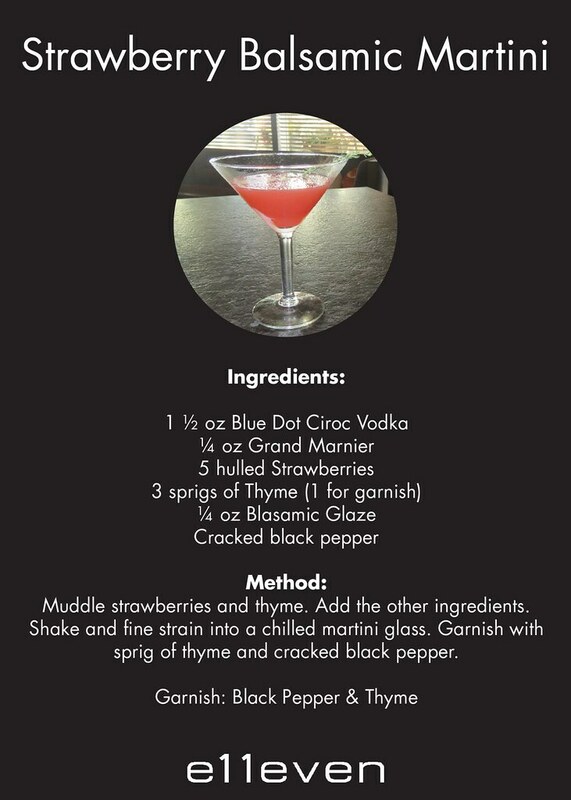 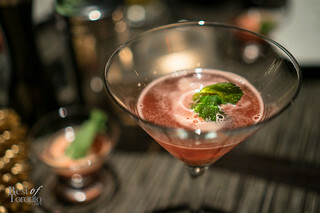 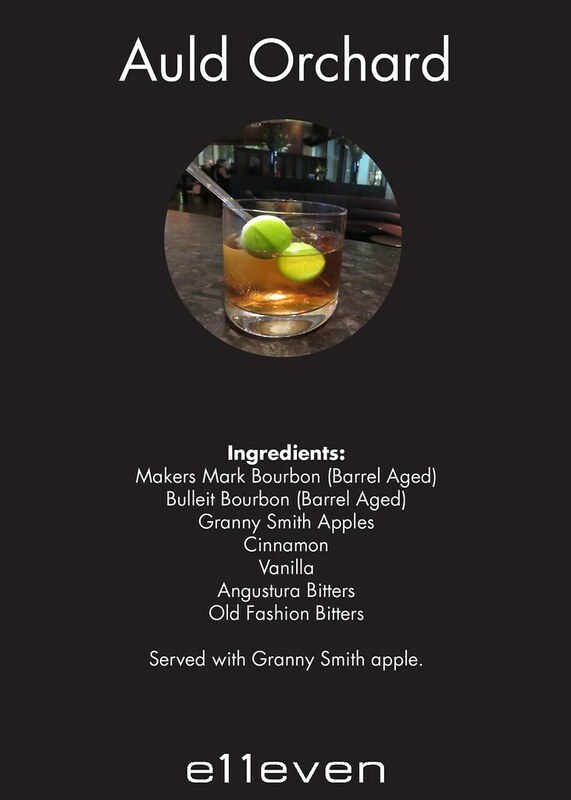 Be sure to check out the photo gallery for some cocktail recipes. 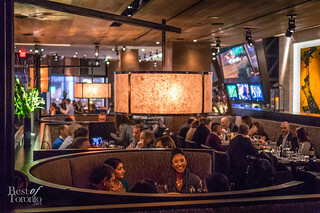 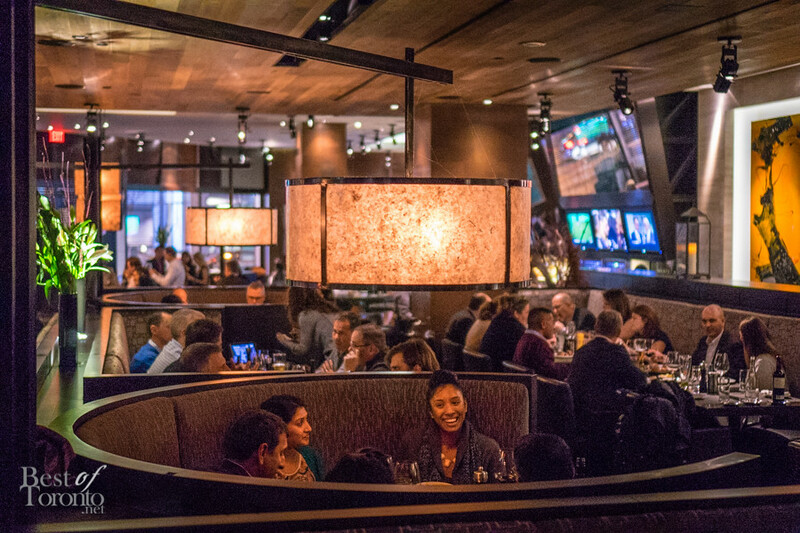 Located at 15 York Street, this trendy hangout spot is perfect to indulge in North American cuisine and for social affairs after Air Canada Centre concerts and sporting events like the Raptors or Blue Jays.